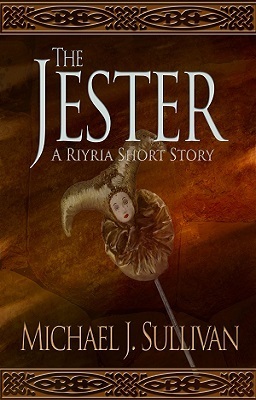 “The Jester” is a Riyria story that throws readers directly into — a well. Literally! You begin this tale following along with Hadrian as he, Royce, a candlemaker, and a pig farmer plunge down an open well and crash into the underground pool below. As Hadrian and Royce frantically attempt to save themselves and their companions from the dark waters, it becomes apparent that they are on a mission to uncover a jester’s treasure hidden somewhere in this dwarven mine, that they are having a pretty tough go of it, and that they threw themselves down the well to escape something horrible that is after them. At this point, things look really bleak for Riyria. So much so that long time fans will be gripping their seats wondering how their favorite fantasy duo will be able to escape this seemingly insurmountable situation and complete their contract. And the truth is they DON”T! No, that isn’t a spoiler, it is a warning. This is a short story that pulls the rug out from under our heroes, showing them struggling to survive. Sure, Hadrian and Royce still crack a few sarcastic jabs at one another, mock the others view on life, but here getting out alive is the name of the game, not witty repertoire — though there is a bit of that, as I mentioned. And even the conclusion is more morality play than standard fantasy ending, though Mr. Sullivan still pulls all the tangled story threads together to deliver the nice, tight climax that he is known for. Does all that gushing mean this is the best fantasy short story I’ve ever read? No, it doesn’t. What it does mean is that “The Jester” is an entertaining way to visiting our old friends Hadrian and Royce while we wait for The Death of Dulgath (The Riyria Chronicles #3) to hit bookshelves. 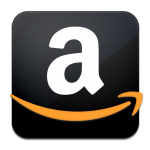 Buy the story at Amazon. This entry was posted in 3 Stars, Fantasy, Swashbuckling and tagged Hadrian and Royce, Michael J. Sullivan, Riyria, Riyria short stories, The riyria Chronicles. Bookmark the permalink. “Favorite Fantasy Duo” is correct! Haven’t read any of Chronicles yet, but I backed The Death of Duglath on Kickstarter, and plan on binging them before Duglath’s release. Great fantasy series that I have to finish as well.